President Obama presented his State of the Union address just one week following what would have been Ronald Reagan’s 102nd birthday. The policies and values of the two men couldn’t be farther apart, and Reagan’s statement is prescient as well as cautionary. The quote above would sound like hyperbole if we couldn’t point to real world examples. Currently, sub-Saharan Africa is a chilling and ominous demonstration of the truth of the statement. 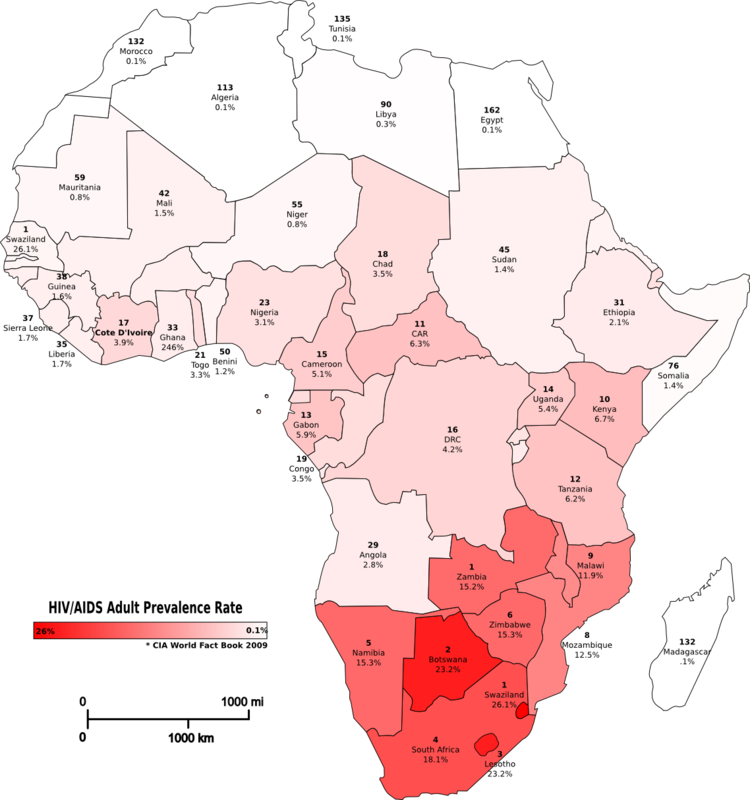 There are estimates that currently between 15 and 25 million children in Africa have lost either one or both parents to HIV/AIDS. In some countries, this can amount to over 15% of all children, which is a tragedy on a scale most Americans cannot even imagine. There is not one facet of society which is designed to handle the impact of all these orphans. Consider all that we enjoy in a normal family. Your parents provide you with a stable home where you are safe. You have access to nutritious food and can sleep without fear of predation. You are able to attend school to learn how to support yourself and your future family. But even before you start school, you learn some of the most important lessons about love, respect, responsibility and hope. If you take away the parents, where will the child get these? The fact is that this flood of orphans has overwhelmed extended families, state provided services and Hillary’s proverbial village. Their very survival has become about the only thing on which they can focus. And the fact that there is no one to pass on the basic tenets of civilized society – love, respect, responsibility, hope, etc, they become feral. 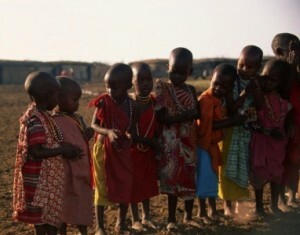 Just as the children in “Lord of the Flies” turned to tribal violence, these orphans have done likewise. They are magnets for the gang leaders and war lords who need soldiers with no cultural foundation to protect them from exploitation. This ongoing disaster exists today in Africa. It is structural in that no amount of food or humanitarian aid will turn around the descent into barbarism which severing the generational transmission of civilization has caused. This has occurred over one generation. Cross the Atlantic Ocean, and you will see a growing disaster which in many ways resembles the AIDS orphans of Africa. Because it is happening slower; it is not as visible. And because it is a direct result of government policy, it is unlikely that you will ever hear about it on the evening news. We see the symptoms, but are unwilling to look directly at them. American children are being divorced from traditional culture. And though the root cause is different, the impact is identical to what is happening in Africa. They are losing the connection they have always had in the past. Today, we have an expanding number of children born out of wedlock. In previous generations, a child who was “illegitimate” was unusual. In fact, from the 1920’s to the early 1960’s, birth without the benefit of marriage averaged about 5 per cent of all live births. Then in the 60’s several things happened. First, the birth control pill changed forever the “balance of power” between the sexes. Previously, the woman was extremely protective of her reproductive ability. Part of this was the power of traditional roles, the lack of opportunity for women, and potential shame. But whatever the reason, there was a very strong motivation to not engage in behavior which might unintentionally result in pregnancy. The “pill” which was first marketed in 1960, put women in a position where they could be more adventurous than they could previously. Unfortunately, no birth control method, other than abstinence, is 100% effective, so an increase of premarital pregnancies occurred. 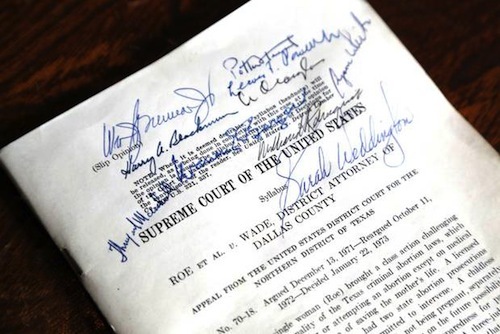 The response was a movement for more widely available legal abortion and this culminated with the Roe v. Wade decision in 1973. 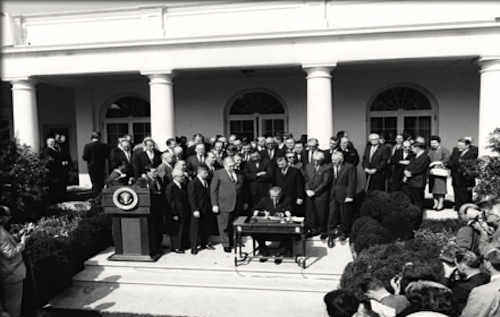 At the same time, Democrat politicians led by President Johnson were initiating the “War on Poverty.” This well-meaning movement culminated with the passage of the Economic Opportunity Act of 1964, which was designed to provide for the health, education and the general welfare of the impoverished. Central to this legislation was the desire to provide a safety net for children living with single mothers. But what started out as a bandaid to help those in temporary need became a program which rewarded behaviors which had been frowned upon in all previous generations. Where the burden of raising a child out of wedlock had previously been one of the many motivators to limit illegitimacy, that burden was removed and it was actually more financially advantageous to eliminate the male role in the home entirely. A major effect of the War on Poverty was to discourage marriage. And although it affected all races, it hit African Americans hardest. What could not be done during the times of slavery, i.e. destroying the nuclear family, has been accomplished by the actions of well meaning politicians. Over the last 50 years, we have seen the impact of these policies. In the first half of the 20th Century, a child had a better than 95% chance of being born to an intact family. Today, that number has fallen to just under 60%. Breaking it down further, only 28% of African American babies are born to an intact family. And for those who might thing this has something to do with race, during the same period, the percentage of white babies born out of wedlock has risen from 3% to 28.6%. The impact of this huge shift is being felt today throughout our culture. As we see in Africa, the lack of a stable home creates an environment where children are not taught those values which support civil society (love, respect, responsibility and hope). Where previously children came to school prepared to learn and were supported at home, now it is not unusual for the school to provide basic necessities such as meals and attention. Because many children are essentially “uncivilized,” teachers are spending increasingly more time dealing with behavior problems and have less time for actual teaching. And like the orphans of Africa, more and more children are turning to gangs and the street for identity and communal protection. Africa has problems which may be insurmountable due to the size of the orphan cohort. America, if it is to survive, must find a way to reconnect the parent to the child so that we can continue to pass on civilization and Freedom. Based on the rhetoric of the dominant political party, there is little chance that happening. If it does not, we may be living within the last days of our Republic. Such a fantastic article, Lee! I should have commented sooner!